It was finally James’ turn to start school!! HURRAAAAAAYYYYY! It’s been a long two weeks since Annie started school. James has been as patient as a four-year-old can be, but I don’t think he could have waited any longer. Meeting his teachers last week only intensified his excitement. Kid was READY. TO. GO. James’ teachers this year are the same ones his sister had in Pre-K, which is great because I love them. They first met James when he was just a year old, so they couldn’t get over how much he’d grown. He had them laughing the second he walked into the room on Meet the Teachers day, so at least they got a taste of what they were in for. When we arrived at the school, I signed James in, put on his name tag, and showed him where to put his lunch box. As we walked over to the classroom door, he turned around and said, “You stay here, Mom. Don’t come in.” And then he marched himself into the classroom. Didn’t even look over his shoulder at me. I wanted to take pictures of him in the classroom, but since he can occasionally be clingy I decided not to risk things. Instead, I stood at the window for a few moments and watched him show his friend M his new shoes before I left. So cute. When I picked him up after school, the first thing he said to me was, “Mom, I had a GREAT day!” He then rattled off all of the kids he played with, and gave me a rundown of the day. Me: Oh, will you sing one for me? Oh well, he still gave me more info about his first day than Annabel. And he left you hanging outside the door! LOL Little dude is cold! Reminds me of taking my niece to the airport for her first-time flying alone: she walked down away from me, Starbucks cup in hand, raised in goodbye, with barely a 1/4 head turn nod….I was bawling. She was 10. The next day. LMAO! Love the pix of Annie & JJ (what, he doesn’t have time for the whole “James” thing now?)! That was just about the best “Peace out, Mom!” I’ve ever read! My twins are the same. I might get a “Love you, Mom,” but that’s about it. I guess we are doing this parenting thing right if they are cool leaving us like that! Happy first day to you! This is corny, but I can’t help it. That picture of James & Annabel look like the 2 sides of a heart. A little lopsided, but perfect nonetheless. Those two are perfection. And James, oh what beautiful boy he is! Glorious!! And those winged sneakers?? OFF THE CHARTS!! Have a GREAT school year, Mr. JJ (and Annie, and Mom & Dad!!) MUCH LOVE from Ohioooooooooo!! The second picture of James, the close up, has me seeing Maddy all over his face. 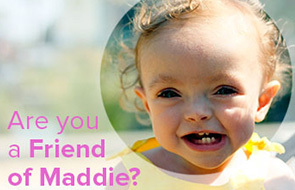 Those eyes, those lashes – so much like Maddy. What a blessing! !